Elsa Paper Doll. Frozen (2013). HD Wallpaper and background images in the Frozen club tagged: frozen elsa anna kristoff olaf disney 2013 animated film. 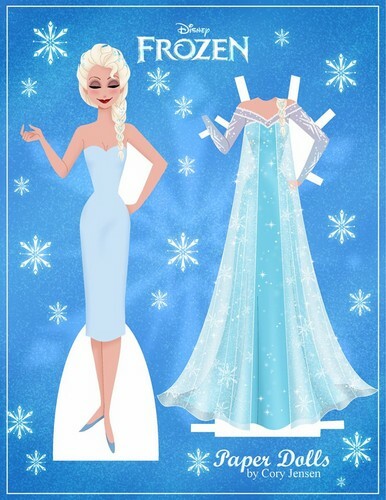 This Frozen fan art might contain gaun malam, makan malam gaun, formal, makan malam pakaian, gaun makan malam, and formal gaun malam.